Backcountry skiing and snowboarding (splitboarding) have seen a huge surge in popularity in recent years and there are many reasons why some people prefer it to resort skiing. One of the most popular is the “escape” many feel when they walk through the backcountry and leave the resort behind, another is the connectedness they feel to nature and their surroundings through human-powered endeavours. For many, it’s the lure of untracked, pristine powder that gets them out of bed and away from the neatly, manmade ski runs. You’ve probably heard the saying “life is a journey, not a destination”. 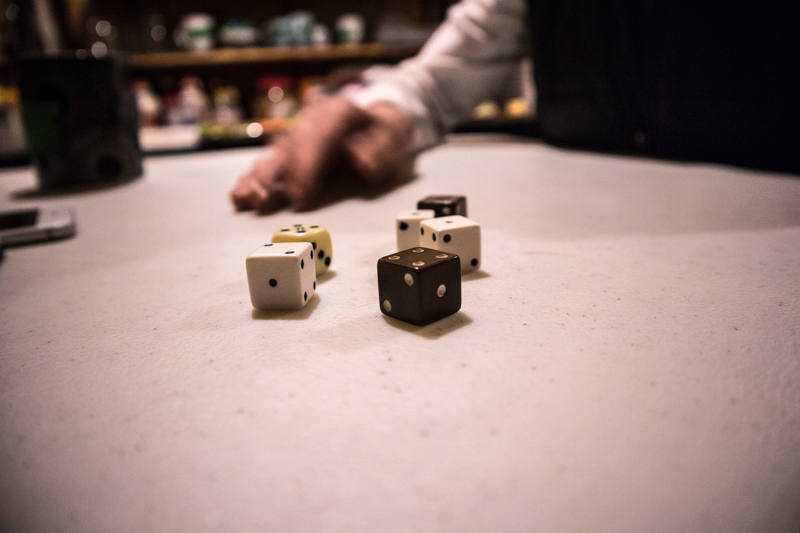 That sage piece of advice is no more at home than here in the backcountry lodges of BC, most of which are nestled deep in the mountains without road access. Just getting to one is an adventure of a lifetime that many only dream of. Take the Mallard Mountain Lodge, for example, to get to your mountain home guests are taken on a breathtaking 77km sightseeing flight through the famous Canadian Rockies along their border with the mighty Monashee mountains and over the historic Canoe River. Picture this. You’re on vacation, last night you had a few glasses of wine, a good meal, and laughed until the small hours. You’re in a cosy log cabin, the fire is roaring and the coffee is hot. You’d like to savour the moment you’re in, who wouldn’t. But, last night it snowed 45cms so you have to leave your coffee, grab a snack on the run and join the masses in line at the chairlift just to get a few fresh turns before it’s all skied out. Now, rewind back to being cosy and enjoying your coffee, imagine that you’re one of only 8 people in the surrounding 18,885 acres. There’s no hurry, no last-minute ticket buying, no need to worry about parking or over-priced lunches. There’s just you, your friends, and enough snow and terrain that you need never ski the same line twice. 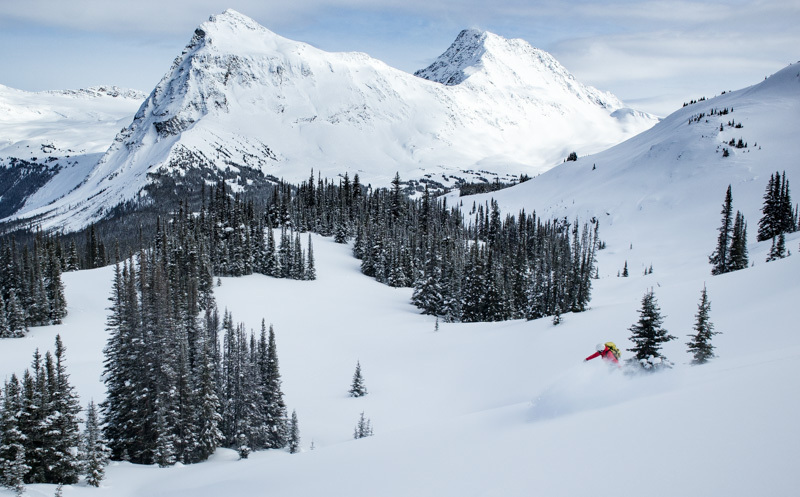 The only thing you have to worry about at a BC backcountry lodge is deciding whether you want your powder turns before or after your second cup of coffee. Epic scenery, towering Rocky Mountains and fresh champagne powder. Ski touring at a BC backcountry lodge can cut the cost of your ski vacation in half, when compared to the cost of heli-skiing. And a lower cost doesn’t mean you have to sacrifice elevation or experience, either. The Mallard Mountain Lodge is already at an elevation of 1,900 m (6233.5 ft) so helicopter or not, the day’s powder runs are always right on your doorstep. Getting to this alpine paradise is by helicopter access only. There are no roads in or out giving 8 guests at a time full exclusivity over the terrain. 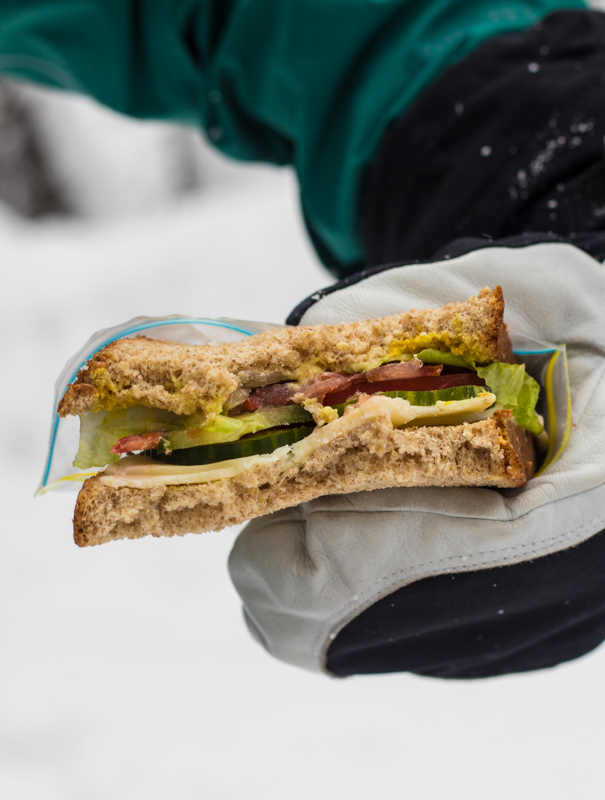 Powder skiing or snowboarding is hungry work. 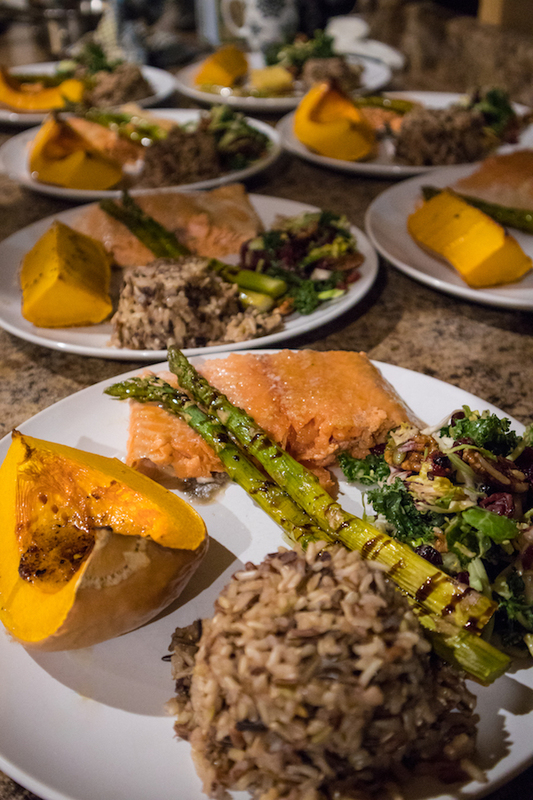 We helicopter in all the food for your trip, including chef, and prepare fresh breakfasts, take-out lunches, snacks, post-skiing appetizers, and delicious 3-course dinners every day for your group. 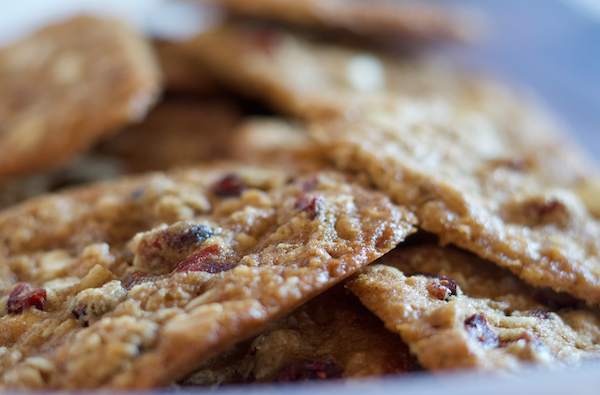 We love welcoming people into our wilderness lodge and seeing their faces glow as they breathe deep and fill their lungs with the smell of fresh cookies and freshly baked bread after a day of powder skiing in the Rocky Mountains. No washing up, no figuring out the tip on a group bill, and no giant group shopping trips for 7 days worth of food. Leave it all to us! 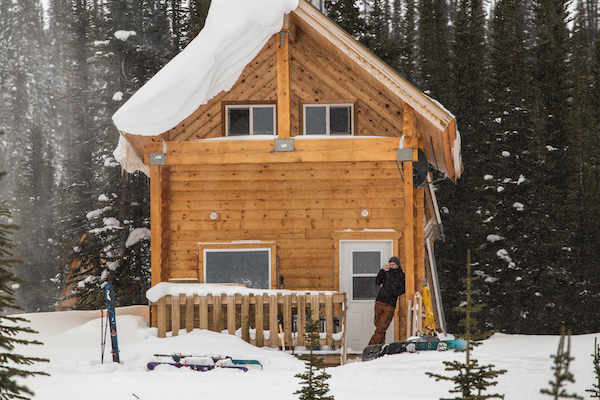 If there’s one thing any backcountry lodge gives you, it’s some much-needed downtime. Whenever guests arrive at the Mallard Mountain Lodge they’re always happily struck by how “away from it all” they really are. Getting back to basics is good for your soul, your mental health and your relationships. Here, old friends become family and new friends build bonds that stretch around the globe once they leave. 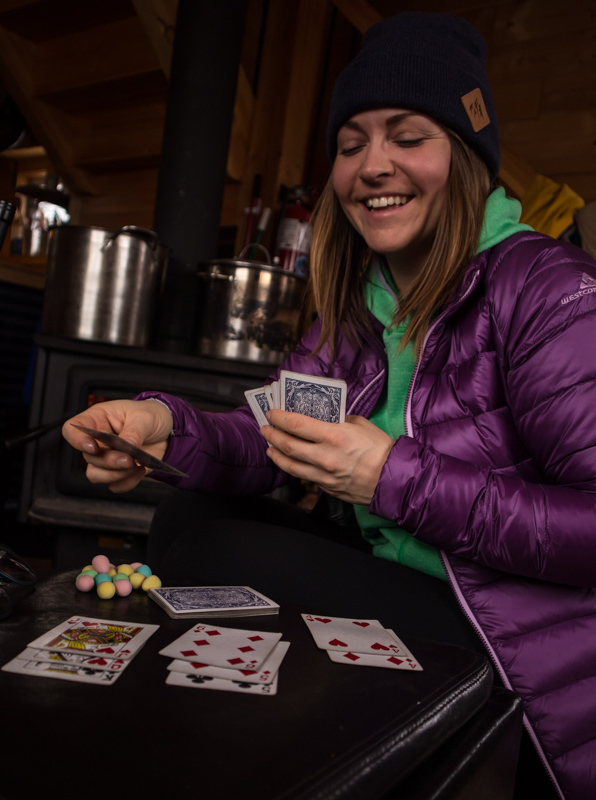 It’s amazing how a deck of cards, a set dice or even just stoking a log fire can bring out the big kid in you. There is no cell service out here, but we do have satellite WiFi should you need to make a call home. 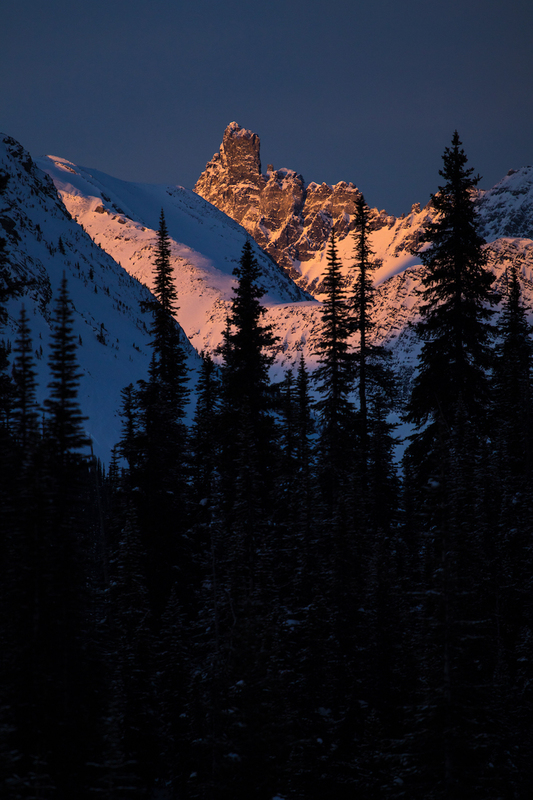 At a BC backcountry lodge, the mountains are your playground and you can explore in any direction your heart desires. The Mallard Mountain Lodge tenure is almost 100km from the nearest town and is flanked on the east side by Jasper Provincial Park. Arriving here is like being in a new city for the first time, you want to make sure you hit all the best spots and locals are usually the best people to ask – that’s one of the reasons guided backcountry lodge trips are so popular with our guests. The other is safety. At a resort, skiers and snowboarders have the confidence in knowing that the inbounds terrain is avalanche controlled by a crew of professional Ski Patrol. Out in the backcountry you have to be able to read the terrain, weather and snow conditions to avoid an avalanche, as well as be fully equipt with the knowledge, skills, and tools for self-rescue should an incident occur. Professional ACMG ski guides like Marty (above) are worth their weight in gold, they are your key to all the secret stashes and best lines no matter what the weather and they’re your professional set of eyes and ears in unfamiliar terrain. 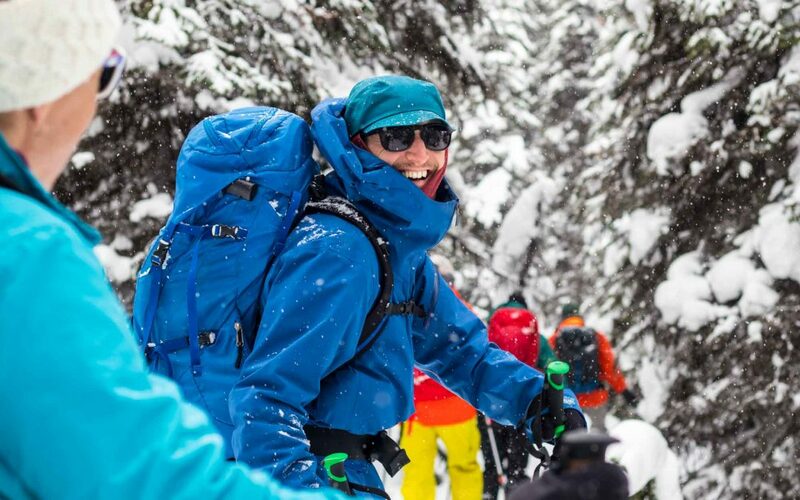 If you’re new to backcountry ski touring or splitboarding take a look at our AT 101 – Introduction To Alpine Touring Program. It’s perfect for never-ever and beginners to get a safe, fun, and educational introduction to the world of backcountry ski touring or snowboarding in small groups with your own ACMG ski guide. Beau Taplin famously said “sunsets are proof that every day can end beautifully” and we couldn’t agree more. In the winter, when everything is covered in snow a sunset will touch every part of the landscape. Snow is the perfect reflector for all Mother Nature’s amazing evening colours setting everything aglow from the sky to the peaks to the very ground you’re standing on. The Mallard Mountain Lodge is set in a meadow surrounded in all directions by peaks, shoulders, and alpine landscapes. From this little plateau, you have an unobstructed 360º view to one of the best shows on earth. Now does that just make you want to grab a warm puffy jacket, a hot drink, and soak up the night. 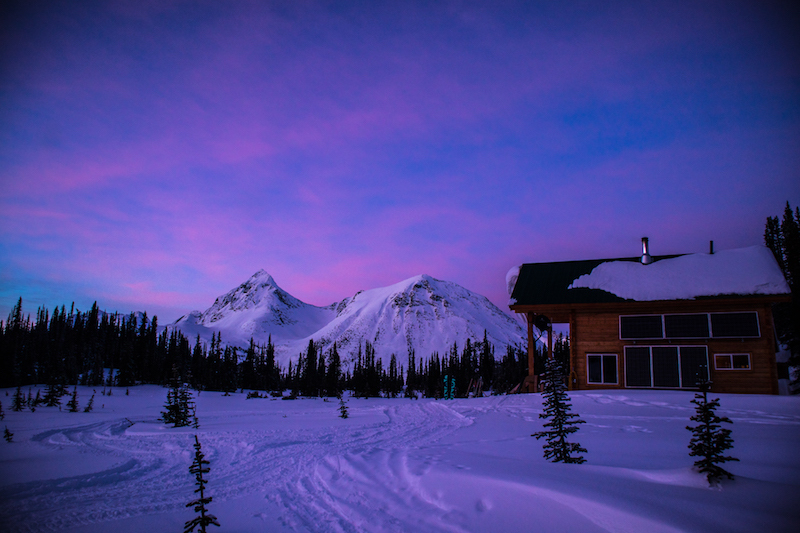 We hope we’ve inspired you to get out into the wilderness and spend some time at one of the many incredible backcountry lodges in BC. If you have any questions you can email us at info[@]cacltd.ca or drop us a line at 250-835-4516. If you’re on social media you can also leave us a comment or ask a question via our Facebook, Twitter, or Instagram channels and we’ll get back to you as soon as we can.